The rumor mill was working overtime this morning, ahead of the crucial meeting of State Administrative Council which was being convened days after NC and PDP announced not to participate in the upcoming elections, even as Congress hinted at following the suit, asserting that the situation was not conducive to hold elections. 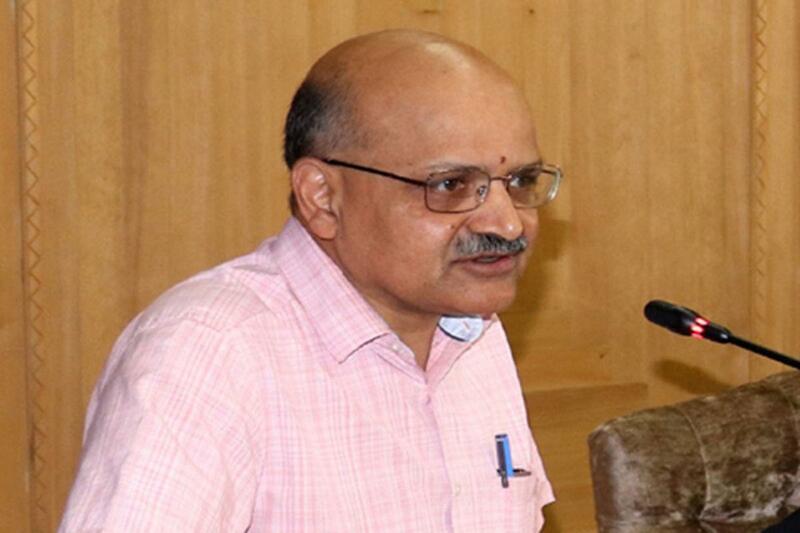 Dispelling the rumors altogether, Chief Secretary BVR Subrahmanyam on Wednesday morning made it clear that the Governor’s administration has decided and that the elections will be held, as per schedule. Scotching the reports that the SAC was going to consider deferment of municipal polls, the Chief Secretary said: "Municipal and Panchayat polls will be held as per schedule. There will be no change." "There are multiple views going on, (but) we have decided and we are going on as per schedule. There will be no change in the dates, there will be no change in the schedule (for the polls)," Subrahmanyam said, while speaking to the media on the sidelines of an official function at the SKICC here. Governor Satya Pal Malik is believed to be of the view that elections were more important at this juncture of time than to take any position on Article 35A, considering there is no elected government currently in the state. The Centre has also hinted to go ahead with the local elections, notwithstanding the boycott announced by the NC and the PDP, as it feels that grassroots democracy must get precedence over any other consideration, officials said Wednesday. The central government is also of the opinion that the release of around Rs 4,300 crore meant for the development of rural and urban areas in Jammu and Kashmir will not be possible until there are elected representatives in panchayat and urban local bodies. "The central government feels that elections to the panchayats and urban local bodies must be held because strengthening of grassroots democracy is important as it takes care of local development issues like power, roads and water," a senior government functionary said. The two major political parties - the NC and the PDP- have decided to boycott the polls saying that the central government is yet to declare its stand on Article 35A, which was incorporated in the Constitution by a 1954 Presidential Order and accords special rights and privileges to the Jammu and Kashmir citizens. Article 35A, which also denies property rights to a woman who marries a person from outside the state, has been challenged in the Supreme Court and the matter is still under its consideration. "Grassroots democracy must get precedence than any other considerations, including security," the functionary said. He also asserted that there were adequate number of security personnel in the state to provide protection to candidates. The panchayat polls to elect 4,130 sarpanch, 29,719 panch and 1,145 ward commissioners are expected to be held later next month. The issue of releasing around Rs 3,000 crore meant for the panchayats and Rs 1,300 crore meant for the urban bodies as awarded by the 14th Finance Commission to Jammu and Kashmir was also under consideration of the central government. If the elections are not held, the entire amount of the development fund cannot be released to the state, a home ministry official said. Referring to the security issues, the official said adequate protection will be given to each candidate and the Jammu and Kashmir administration has enough security personnel at its disposal. Around 24,000 paramilitary personnel, who were deployed during the Amarnath Yatra, have been asked to stay on in the the state and they would be deployed for the panchayat and urban local bodies polls in addition to other available security personnel. The election to the urban local bodies were last held in 2005 and to panchayats in 2011 after a long hiatus. There were a number of militant attacks on candidates before and after these polls. The polls to the local bodies were supposed to be held in 2016 but could not be conducted due to the five-month-long unrest in the Kashmir Valley following the killing of Hizbul Mujahideen militant Burhan Wani on July 8 that year.